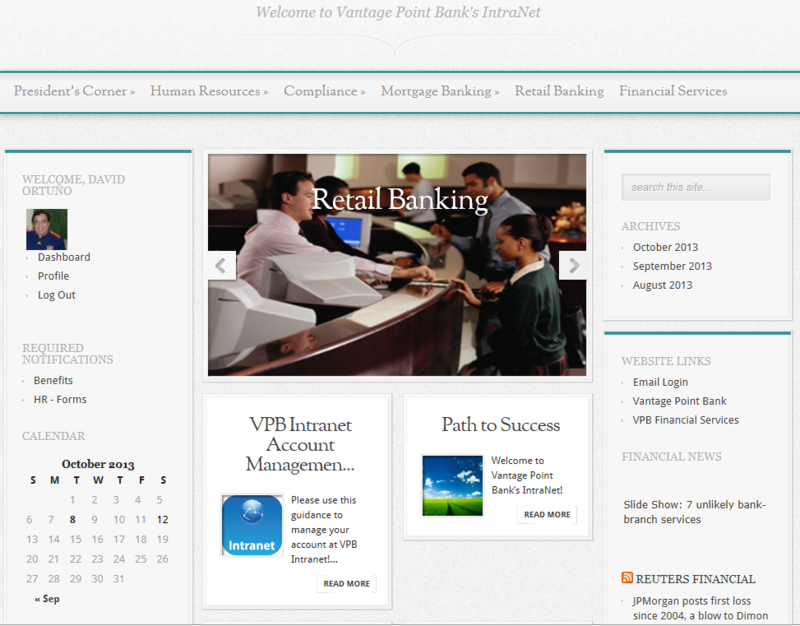 A solution site for Vantage Point Bank. Case study revealed their need for a Project Management Tool, Calendar for their events, Blog for the Departmental News, Repository of Forms, Policies, Guidelines and Procedures, Human Resources mandatory tools, connections to all their different vendors, suppliers, investors; and all Compliance tools for each of the Bank’s Departments. Current Live Web site can be seen here.